How Do I Adopt from India? Whether you’ve decided to move forward with international adoption or are just beginning to explore your options, understanding various country guidelines, timelines, and fees can seem overwhelming. There are many countries that are available for intercountry adoption, one of which is India. Thinking about adopting from India? Here’s a step-by-step guide. To begin with, India has its own criteria for eligible adoptive parents. The first step is to make sure you meet the requirements. Age – If you are married, you must be between the ages of 25 and 55, and there can be no less than 25 years between parent and child. If you are single, you must be between the ages of 30 and 55. Citizenship – There are two tracks available for Indian adoption: Heritage track and Traditional. For the Heritage track, one spouse must be a non-resident of India, the other a U.S. citizen. Length of Marriage – Couples must have been married for at least two years, or three years in the case of a second marriage. Children in Family – Prospective families should have no more than two children in the home unless the family is open to a special needs child. How long has your agency been working in India? What kind of relationship does your agency have with in-country personnel? What kind of referrals do you see from India? Once your home study is finished, you will be asked to complete a form citing what kind of child or children you might be open to adopting. For families in the Heritage track, it is possible to adopt a healthy infant, but the wait times for such a match can be quite long. In the Waiting Child track, children are typically 6 months to 10 years old at referral with minor or correctable needs. Such needs may include anything from cleft lip or palate, hearing loss, or vision loss to more serious cases, such as cerebral palsy and HIV positive. Next you will begin the great paperwork chase! Your agency will guide you to apply for approval from United States Citizenship and Immigration Services and work with you to complete your dossier. Your dossier will consist of documents similar to your home study (letters from employers, health records, fingerprints, et cetera) and include some additional documents specific to India’s guidelines. Once your dossier is complete, your agency will send everything to Central Adoption Resource Authority for their approval. Once your case is approved by CARA, you will be eligible to be matched with a child through an online portal called CARINGS. For families in the Waiting Child track, your agency’s WIC (Waiting Identified Child) social worker will match you with a child based on your openness to special needs. Referrals in the Waiting Child track take anywhere from one to six months. If you are a non-resident of India, the process is a bit different, as you will wait for a referral from CARA rather than actively seeking one. Referrals for non-residents can take anywhere from eight to 15 months. Then comes the moment you receive a call that you have a match! Your agency will send you information on your potential child, including a child report and a medical exam report. It’s a good idea to have both evaluated by a pediatric professional in international adoption. A good specialist will be able to evaluate your child’s medical report through the lens of international adoption. It’s important to note that children in institutional care are often developmentally delayed because of their environment, so comparing your child’s progress to that of a biological child can lead to misinformation. Additionally, a good specialist will be able to recommend and prescribe treatments to take with you when it comes time to travel. After you say “yes!” to a referral, the true waiting game begins. Your agency will walk you through filing with USCIS (you will file again, since now you have a specific child for whom you will need a visa) and the steps to filing in India. Your case will appear before an Indian court, and a judge will issue a decision. This process can take anywhere from seven to 11 months. Following court approval, you will receive your child’s passport and make your travel plans! For both Heritage and Waiting Child tracks, at least one trip to India is required. Trips can vary between two and three weeks, depending on the region of your child’s orphanage. When you return home, you and your agency will be required to write post-placement reports at three, six, nine, 12, 18, and 24 months. It is also important to think about readoption at this time. From application to travel, the full process to adopt from India takes about 18 to 24 months. 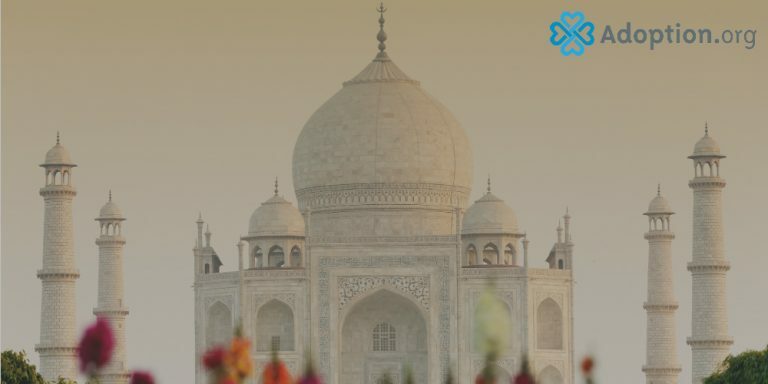 In terms of cost, adoption from India ranges from $30,000 to $42,000, including all agency, filing, country, and travel fees. It’s important to remember too that there are parts of the process you can control, like being a paperwork guru, and parts of the process where you will just have to wait and trust in the adoption system. It won’t be easy, but the moment you hold your child for the first time, I promise it will all be worth it. Read this couple’s story of adopting from India here.